In a striking act of philanthropy, the family of the founder of Fiji Airways, Harold Gatty, is making two big donations to local institutions, including $1-million to build a new wing at the Fiji Museum to celebrate the late aviator’s achievements. The money is coming from Harold Gatty’s son, the Wainadoi spice farmer and author, Dr Ronald Gatty, and his French-born wife Janette, a retired academic and professor of history in France and the United States. In Suva today, a ground-breaking ceremony is being held to mark the commencement of work on the proceeds of the first Gatty donation- $1-million to build a new local headquarters for the Alliance Francaise, the global agency that promotes French language and culture. 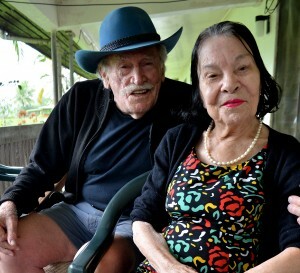 The building will be named the Jannette Gatty Centre in recognition of the fact that the Alliance Francaise de Suva was co-founded by the Gatty family. It is primarily a French cultural centre providing courses in the French language but has expanded its programme to also provide tuition in Hindi and Fijian. Among a range of accomplishments, Ronald Gatty is the author of a Fijian-English dictionary. Today’s ceremony is being attended attended by members of Fiji’s Francophone community and French Embassy officials in Suva, including Ambassador Giles Montagnier. Dr Gatty said the $1-million donation was a family tribute to his wife’s work over the years to promote French history and culture and her philanthropic work in Fiji. “I’m very proud of Janette and her achievements and especially her contribution to the Alliance Francaise in Fiji. Now she is leaving a permanent legacy in the form of its new headquarters in Suva to add to those she has already established”, he said. Three years ago, Dr Janette Gatty funded the first covered structure at the Society for the Prevention of Cruelty to Animals in Suva to house stray animals, which had previously lived in the open or under canvass. The second $1-million Gatty donation will see the Fiji Museum expanded to house a collection of photos and memorabilia commemorating the life of Ronald’s father, the famed pioneer aviator Harold Gatty. Australian-born Harold – who was described by the legendary Charles Lindbergh as the “Prince of Navigators” – was part of the crew that broke the record for a round-the-world flight in 1931.The crew – led by Wiley Post and with Harold as navigator – completed the journey in eight days, a feat that earned them a ticker tape parade in New York City. Harold Gatty introduced commercial aviation in New Zealand in 1936 and worked with Pan American World Airways to establish its famous “Clipper” flying boat services across the Pacific. After war service with both the Australians and the Americans, Harold Gatty came to Fiji and set up the then colony’s first regular air service in 1951, using a canvass-clad De Havilland Dragon Rapide. He died in Suva in 1957. Fiji Airways eventually became Air Pacific in 1971 but formally reverts to the Fiji Airways name next month, flying its new state-of-the-art Airbus A330-200s. “While my father and I sometimes had a difficult relationship, I want him remembered for his pioneering contribution to aviation in Fiji”, Dr Gatty said.“He was a lousy Daddy – totally absorbed in his own career – but I’m a damn good son”, he laughed. Dr Gatty made his fortune independently of his father as a marketing consultant in the US after he left Fiji in his late teens with $50 in his pocket. When he eventually returned, he set up Spices of Fiji – his Wainadoi enterprise outside Suva – as a means of assisting ordinary Fijians into the spice trade and providing them with an avenue to market their produce.“ I think growing nonperishable spices like vanilla, cinnamon, pepper and nutmeg is the best way to provide villagers in Fiji with sustainable livelihoods. Spices are high value, cheap to produce and production can all be done by hand, which makes it so ideal for developing countries”, he said. A colourful, somewhat eccentric presence in Suva (the New York Daily News once described him as having a “piratical look”), Dr Gatty has also been an academic, explorer, sailor, acknowledged shark expert and newspaper columnist. He was arrested in 1996 when he fired a warning shot at an angry mob attacking his home in Wainadoi over allegations of corruption cited in one of his columns. For her part, Dr Janette Gatty has also had a distinguished academic career, travelling back and forth to teach at universities in the US before retiring to Wainadoi and the couple’s other home in New York. She has written two celebrated French history books; Beaumarchais – a portrait of the 18th century playwright and revolutionary Pierre Beaumarchais – and Voyage de Siam du Pere Bouvet, which details the adventures of an early French ambassador to the Far East in what is today known as Thailand. Ronald Gatty said he hoped that other wealthy families in Fiji would also consider making donations or bequests to institutions that promote local history and culture. “We don’t have enough philanthropy in Fiji. I happen to believe that affluent people have a duty to enrich the lives of their fellow citizens. However corny it may sound, we have a special obligation to make the world a better place” he added. This is the True Taukei and Kaiviti..you have others like Paul Hilton Daryl Tarte Dr Eaton..and many more they should be honored and given a medal ODER OF THE REPUBLIC OF FIJI. This Family has done a lot for Fiji over the years -time they also contributed funds to help cricket Fiji in an overseas tour if i recall. Well done guys. Gatty is the worst human being I ever met.